A phase 3 study of sunitinib in the adjuvant treatment setting in patients at high risk for recurrent renal cell carcinoma reached its primary end point. For this double-blind, S-TRAC study, more than 670 patients at high risk for recurrent RCC were randomly assigned to receive sunitinib or placebo for 1 year after surgery. Adverse events observed with adjuvant sunitinib were consistent with the previously reported safety profile of sunitinib. Full efficacy and safety data are expected to be presented at the European Society for Medical Oncology (ESMO) 2016 Congress in Copenhagen, Denmark. Sunitinib is an oral multi-kinase inhibitor that was initially granted approval by the U.S. Food and Drug Administration for the treatment of patients with advanced RCC. 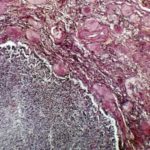 It is also indicated for imatinib-resistant or intolerant gastrointestinal stromal tumors, as well as advanced pancreatic neuroendocrine tumors. Pfizer announces positive top-line results from phase 3 S-TRAC trial of Sutent® (sunitinib) as adjuvant therapy in patients at high risk of recurrent renal cell carcinoma. Pfizer website. http://press.pfizer.com/press-release/pfizer-announces-positive-top-line-results-phase-3-s-trac-trial-sutent-sunitinib-adjuv. Updated July 8, 2016. Accessed August 9, 2016.